Plain concrete isn’t winning any beauty contests. Unless you’re a mobster looking for an anchor, its presence typically goes completely unnoticed. Considering how much of our life it holds in place, it’s pretty ironic. The average person might describe concrete in the following ways: durable and dull. What typically goes unrealized is just how much variety gets left behind when you finish leveling your driveway. Concrete, while it looks like monochrome applesauce, is a combination of broken stone, variable size gravel, cement, and water. The first two materials form roughly sixty-percent of the product’s overall mass. These bits and bobs of the earth, typically eye-catching on their own, are known as aggregates. Peeling back the cement covering these individual elements, letting concrete’s beauty speak for itself, is the very essence of exposed aggregate concrete (Side note: The result exposed aggregate is actually the basis for polished concrete where the exposed aggregate concrete is later ground down and polished to a high shine). Varying the composition, size, and hardness of these components allows for an endless array of possibilities of strengths, textures, and colourations. Through a simple polishing and dressing-down, any batch of concrete can leave its ugly-duckling beginnings behind. After a quick scrub, your driveways, paths, verandahs, patios, pool decks and sidewalks will look amazing. 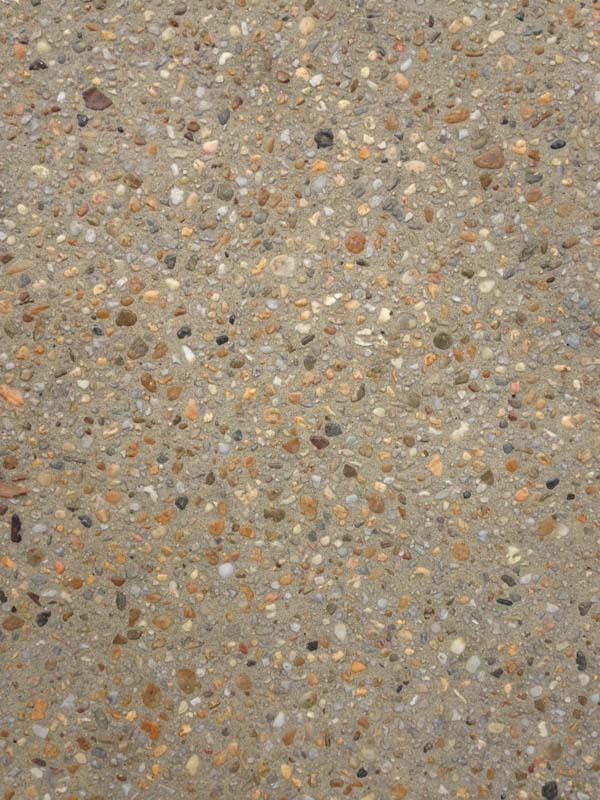 As it’s typically the most visible of all concrete applications, key to your curb appeal, we believe exposed aggregate concrete should feature in everyone’s driveway. Become the standout on your block and give your front-yard the curb-lift it deserves. EASY INSTALLATION: When compared to your typical concrete, installing exposed aggregate does not require a lot of specialized tools, esoteric knowledge, or a drastic increase in overall labor costs. All your specialist needs is a batch of decorative aggregate, some specialized chemicals, a power washer, and some specialized finishing tools. 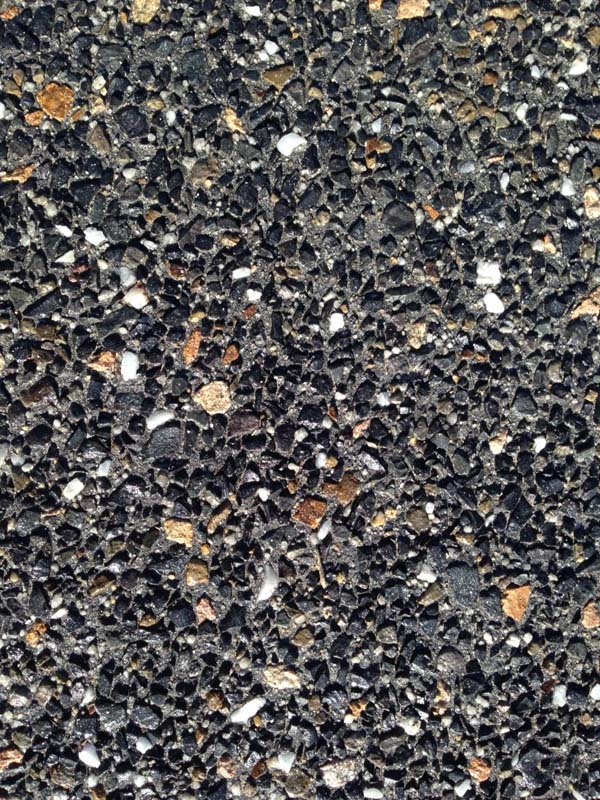 A RELATIVELY LOW PRICE TAG: While more expensive than plain concrete, it's typically much cheaper than paving. GREATER DURABILITY: Just like its less flashy sibling, plain concrete, exposed aggregate is a rugged and long-lasting material. With proper installation, maintenance and sealing, your driveway can last well over a decade. 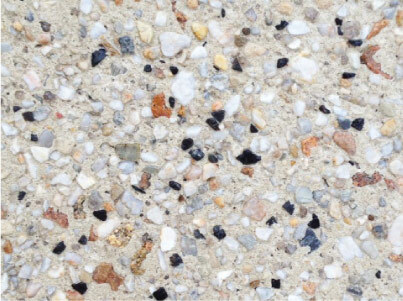 In addition, exposed aggregate concrete happens to be resistant to weather and highly skid-resistant. COMPARATIVELY LOW MAINTENANCE: Keeping your new driveway beautiful is simple. Aside from its initial sealing, exposed concrete requires nothing other than the occasional power-washing to restore its colour. As mentioned above, you could also have it sealed every few years to better preserve the colour. 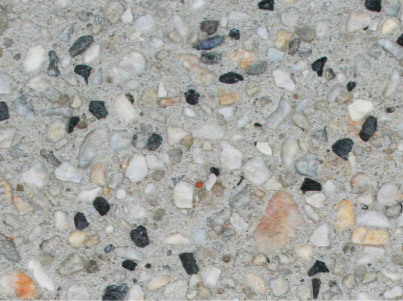 A LARGER DEGREE OF VARIABILITY: While typical concrete can be coloured and stamped, its texture remains far duller than aggregate. Nothing sets it apart. With a wide variety of compositions, colours, sizes, textures, and heights, aggregate driveways are as variable as you want. OPTION ONE: Slightly reminiscent of a dragon’s hide, this option packs the concrete with ebony stone, pops of white gravel, and intermittent bursts of warmer cream and vibrant rust. All of this is drawn together by a dark grey base. OPTION TWO: Another rough and predominantly dark option, Buffet possesses a slightly tamer colour scheme than Stokes. Instead of a crisp and dark black, the predominant stones tend towards a more classical dark grey. For families in search of something with variable sizes and darker colours, the Buffet is truly the winner. OPTION FOUR: Armani is a great all-rounder with pops of light rocks on a darker base. 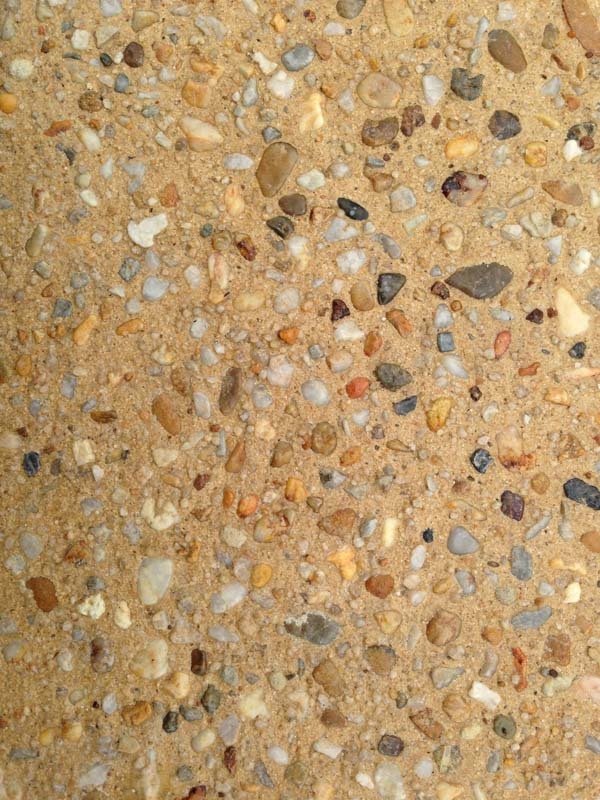 OPTION FIVE: The picture to the left shows a small sample of the warmer options offered by exposed aggregate. Add a bit of heat to your driveway with a rust-coloured base. Featuring pebbles both large and small, this mix resembles sand dunes. 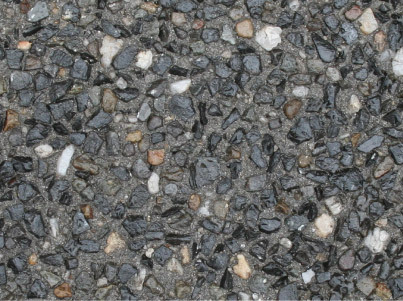 OPTION SIX: Made predominantly of sand-coloured aggregate, a driveway of this stone can provide a complement to any driveway. Made of medium-grade stones and gravel, within the same size range, the polished stone results in something reminiscent of your favorite beach. OPTION SEVEN: This beautiful white stone comes peppered with cinnamon, ebony, and bursts of even brighter ivory. Out of all the shown pre-mixed options, this one offers the brightest colouration. For someone looking for something crisp and professional, this is a great choice. While we typically consider concrete a boring driveway staple, exposed aggregate concrete breathes colour and life into this classic material. Offering durability, skid-resistance, easy-maintenance, and economical installation, exposed aggregate really brings a lot to the table. Don't forget, if you do not like any of the colourations or textures presented above, you can work with us to create a mixture of your own. When you consider the countless options before you, the toughest decision should no longer be about what material to go with. 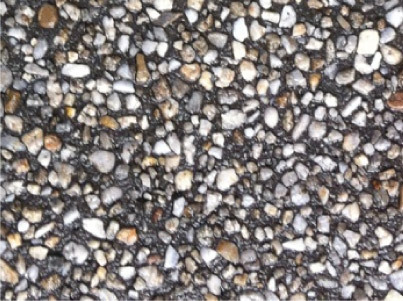 It should be which composition of exposed aggregate concrete you want. One thing we haven't touched on is the importance of getting a high quality installer. Consistency of colour/texture, as well as skill in hiding expansion gaps, is really important for all types of concrete. At Designer Premix, we pride ourselves on providing exceptional service at reasonable prices. We've been in this industry for 20+ years and our team has tonnes and tonnes of experience creating driveways and other concrete surfaces. You can probably tell that we love concrete, but what's not as obvious is just how much we love overdelivering for our customers. We truly strive to give you a better outcome than you even imagined. You live in Melbourne/Victoria, so we know your house is your baby and retirement plan and we'll look after it. Ready to talk to one of our team members? Please call 0413 570 370, or use our contact page. We can give you an estimate over the phone, and are more than happy to provide free onsite quotes. "The team at Designer Premix were great, they worked hard to meet my needs, and ensured I got what I was after. I'll be back."